Fleur's Pure Radiance Fluid is fresh and creamy mask that promotes oxygenation of the skin and helps to unclog pores. 1 to 2 times a week, apply a layer of medium thickness over the entire face and neck, avoiding the eye contour. Leave on for 10 minutes and rinse with warm water. 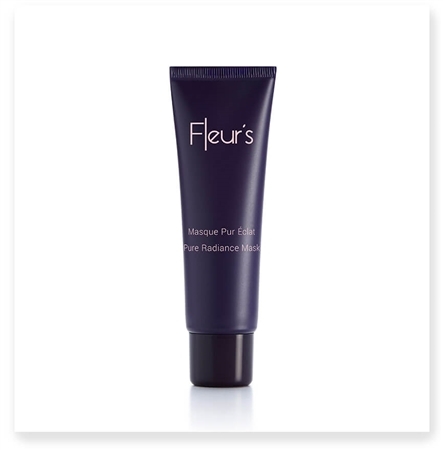 Purifying Floral Bouquet: composed of 3 extracts that work synergistically. Sebo-regulating, purifying, detoxifying and anti-inflammatory properties.